Nostalgia is Takashi Miike’s favorite film of his considerable body of work. Including biographical elements, Nostalgia centers around the home and school of a young boy, whose family mix the violent and dysfunctional with the comic and the loveable. 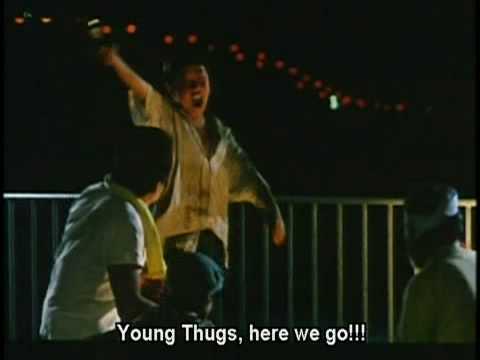 Though containing elements of the sudden and shocking brutality that many associate with this director, Young Thugs – Nostalgia is more concerned with a child’s moment of leaving the internalized world of fantasy, and passing on eagerly to the next stage of life. A wonderful, touching, startling vision that is uniquely Miike’s.